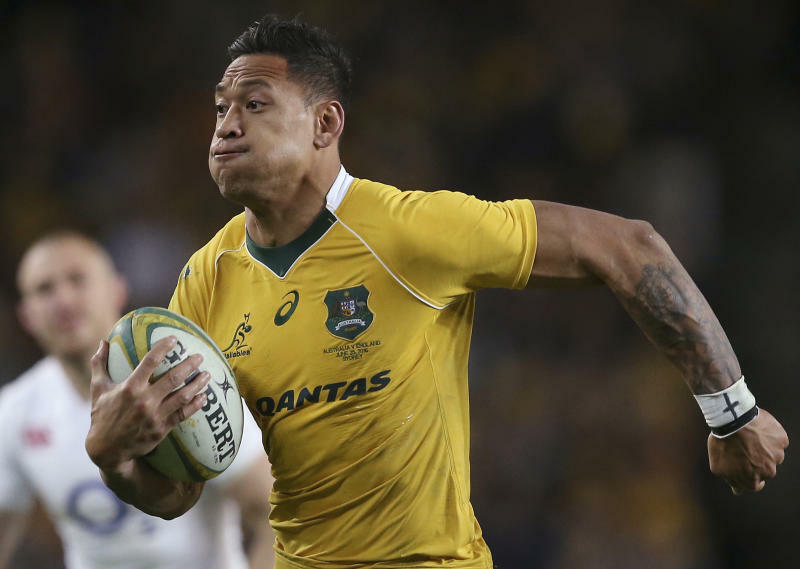 SYDNEY (AP) — Coach Michael Cheika said on Monday he would not have been able to select fullback Israel Folau for the Wallabies after his latest "disrespectful" social media posts attacking gay people. A day after Folau told a newspaper it would be "God's will" if he never played again, Rugby Australia on Monday served him with formal notice that he had breached its Code of Conduct, starting a process expected to end with the termination of Folau's Wallabies and Waratahs contracts. 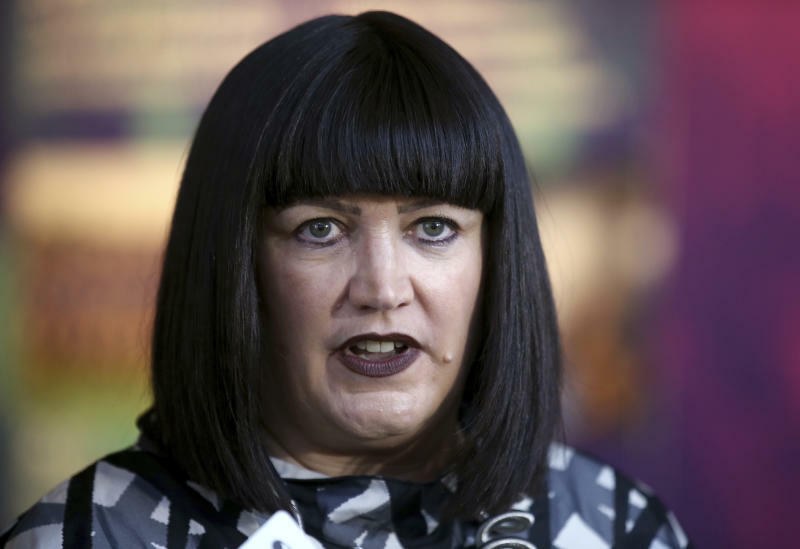 "We appreciate this matter will attract significant interest but due process must be followed," Rugby Australia chief executive Raelene Castle told reporters. "Israel had 48 hours to accept the sanction or have the matter sent to a code of conduct hearing. "It was made clear to Israel in writing and verbally when I met with him last year that any social media posts or commentary that in any way were disrespectful to people because of their sexuality would result in disciplinary action." "You take your friends warts and all, and your teammates," Hooper said. "Like was said before, in this current state and being here and talking about this as a rugby player, it makes it hard, it makes it difficult. 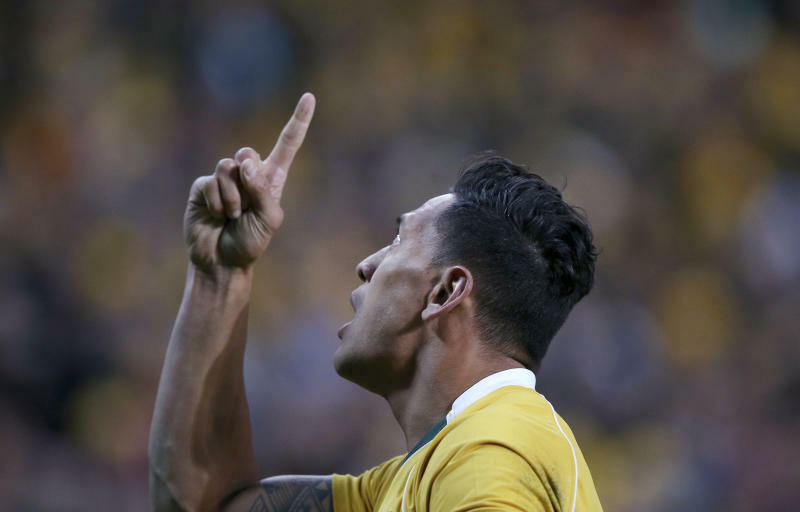 Monday's developments came after Folau told the Sydney Morning Herald newspaper it would be "God's will" if he didn't play again. The Herald interviewed Folau after he attended a church service in western Sydney on Sunday at which speakers praised his comments and said he was being persecuted for his faith.